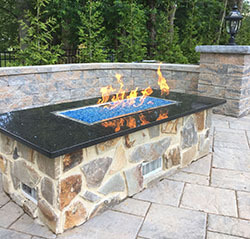 Custom-built, natural stone, fire pit with single burner and V-shaped trough. 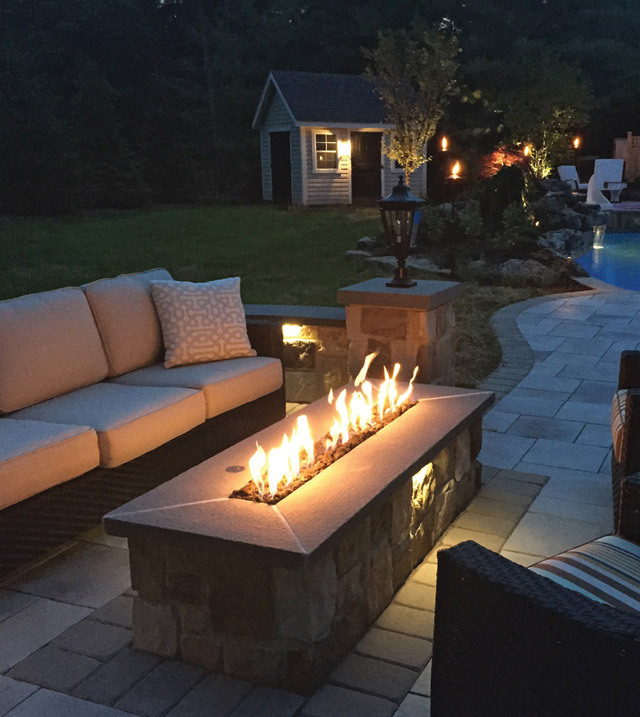 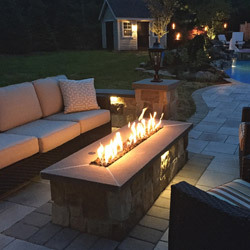 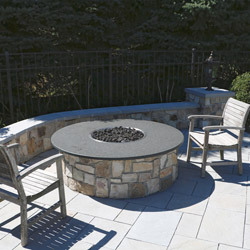 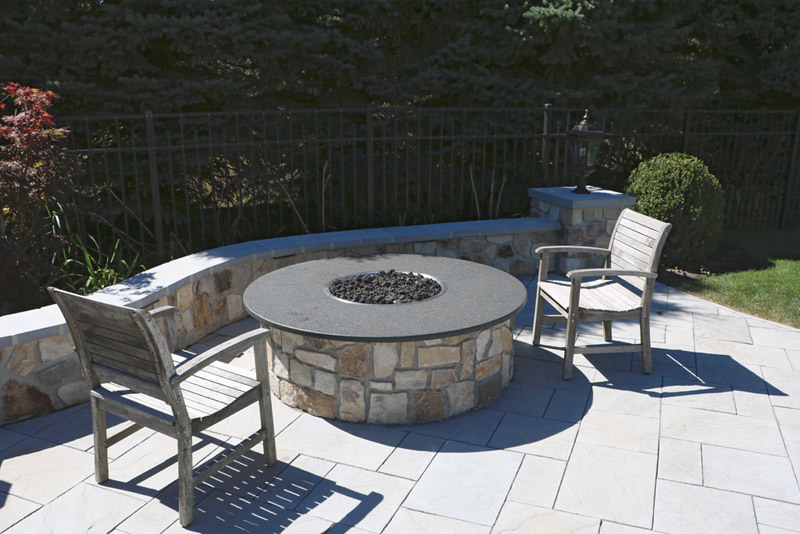 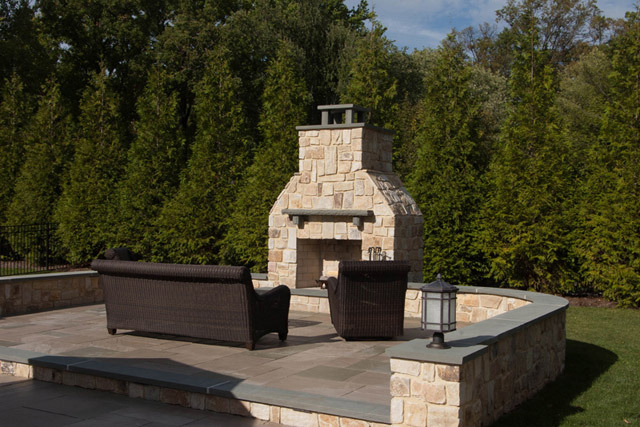 Bluestone patio with custom-designed fireplace in natural stone with bluestone accents, and matching bluestone-topped seating wall with illuminated pillars at either end. Natural stone custom fire pit with granite top, 24" HPC circular burner, matching seating wall and illuminated pillar at either end. 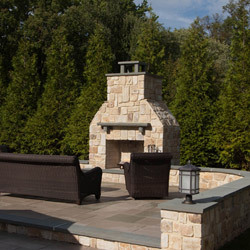 A sample of fire pits and outdoor fireplaces designed and installed by Sage Landscape Contractors ~ These fire pits and outdoor fireplaces are built with natural stone construction, and features include single burners, v-shaped troughs, circular burners, granite tops, bluestone accents, seating and natural stone patios.